There’s an old saying that the only certainties in life are death and taxes. Most people are forced to think about taxes every year, but it can be easy to ignore the inevitability of death, especially when you’re young and healthy. Yet this is typically the time when life insurance is most affordable. Even if you are older or facing medical challenges, you may be surprised by how cost-effective a policy could be. Think for a moment about what could happen if you were no longer able to provide for your family. Would they face a significant change in lifestyle? Would they be able to pursue long-term goals such as a college education for your children or a comfortable retirement for your spouse? A life insurance policy with the appropriate level of coverage could help them live the way you would like them to live. There are two basic types of life insurance: term and permanent. Term life insurance — which offers a death benefit if the insured dies within a specified time period — is usually the least expensive and may offer low-cost coverage during the years when you are most concerned about providing for your dependents’ needs. Permanent life insurance typically offers a lifetime benefit as long as you keep the policy in force by paying the premiums. Although you may have term life insurance through work, group plans generally limit the coverage amount to a multiple of your salary. And, of course, your group coverage usually would end if you leave your employer. An individual policy could provide more consistent protection regardless of changes in your career. The cost and availability of life insurance depend on factors such as age, health, and the type and amount of insurance purchased. Before implementing a strategy involving life insurance, it would be prudent to make sure that you are insurable. 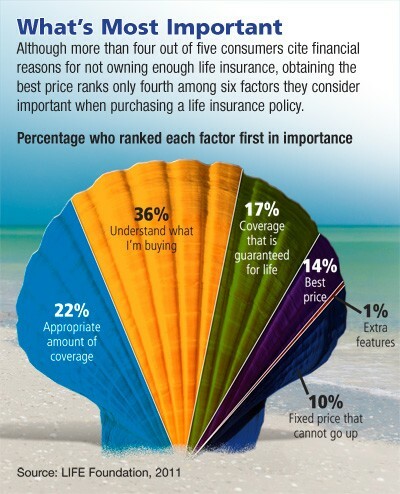 As with most financial decisions, there are expenses associated with the purchase of life insurance. Policies commonly have mortality and expense charges. In addition, if a policy is surrendered prematurely, there may be surrender charges and income tax implications. If financial concerns have held you back from obtaining the life insurance coverage you need, you may want to investigate the available options.